Sun Chemical will showcase innovative products for flexible packaging printers who are looking for new ways to help their customers’ products stand out on the store shelves at InfoFlex 2012. Visitors to Sun Chemical’s booth #425 will be introduced to: high-definition digital plate technology which provides sharper images than standard plates, specialty inks that please nearly all the human senses, and coatings that lightweight packaging, maintain integrity, and reduce waste. Narrow web, tag and label and corrugated printers at the show will be introduced to SunGraphics high definition flexographic plate technology, with Esko HD software and CDI high resolution imaging. Converters that utilize the HD printing plates can print with an image quality of up to 4,000 PPI resulting in expanded tonal range and wider color gamut to produce sharper more vibrant images and colors. Printers will also see the new Flat-Top Dot technology that prints with 30-60 percent less impression sensitivity compared to standard digital plates, which allows for longer, cleaner, more consistent runs from beginning to end. Flexographic printers looking to integrate sustainable practices into their workflow can also consider SunGraphics SunLite In-Position Plates. Shown to reduce a printer’s carbon footprint, these alternatives to conventional mounted plates are produced using up to 50 percent less photopolymer - eliminating solvents, VOCs and PVC materials. Printers using the SunLite plates can take advantage of accurate color-to-color registration and improved safety in handling and durability due to a 70 percent lower weight than conventional plates. Visitors at Sun Chemical’s booth will see firsthand how Sun Chemical’s specialty effects inks and coatings can engage the senses. Guests will walk away with a tortilla chip bag which uses Sun Chemical’s metallic and glow-in-the-dark inks. Additional fluorescent and pearlescent inks on display can also help packaging visually stand out on the shelf. In partnership with ScentSational Technologies, Sun Chemical can help brand owners interact with consumers using the sense of smell through SunScent water-based coatings. Available in stock or custom aromas, SunScent coatings, can be used for all types of print and can be applied as a spot coating and done in-line. Sun Chemical scent marketing experts can help brand owners and package printers develop a unique fragrance for their brand. Tactile, velvet feel and soft feel coatings invite the touch of fingers, while interactive effects such as glow-in-the-dark or photochromic inks and coatings can make products seem more than a typical item on the shelf. In order to address the industry’s challenge to reduce waste costs and minimize packaging while still maintaining all the critical functioning properties of the packaging structure, Sun Chemical will introduce SunBar Oxygen barrier coatings to the North American market at the show. SunBar Oxygen barrier coatings are designed to enable lightweighting of packaging by removing the metal foil and one layer of adhesive from packaging, as well as offering improved laminate flexibility. A smooth, homogenous, pinhole-free layer, SunBar is easily overprinted with inks and can be laminated to a variety of secondary films. SunBar is cost-effective, recyclable, biodegradable and press-ready, allowing for lighter-weight packaging, a reduced carbon footprint, and easy application with few changes to current equipment. Sun Chemical will display two lines of water-based inks at InfoFlex 2012. SunVisto Everest line of flexo water-based inks are formulated for vignette and process printing on paper and board for pre-print, multi-wall, post-print and narrow-web applications. Everest inks are formulated to allow for clean printing, good ink resolution, high-quality definition, and may be overprinted with various water-based or UV lacquers when improved resistance properties are required. Alternatively, the SunVisto Advantage line of water-based inks are specifically developed to be pH stable for corrugated printers who want a consistent press run without monitoring or adjusting pH levels. They offer consistent color strength, longer press runs without maintenance and reduced plate washing during a press run. Sun Chemical will also showcase SunSpectro Sunsharp solvent-based inks. Developed for high-speed, wide web flexo presses of bread bags and frozen food packaging, SunSpectro Sunsharp inks are high gloss, resistant to water, fats and oils, and formulated for low odor and low viscosity for enhanced color strength. Developed for flexographic printing on polyethylene film, SunSpectro Sunsharp HR solvent-based inks provide moderate heat resistance of up to 350 degrees, maintain excellent gloss, and are suitable for use with conventional and high-performance printing plates. Its clean printing and water resistance make it an ideal choice for printing on items such as plastic bags, shampoo bottles and milk containers. For high-speed flexo presses, Sun Chemical’s SunStrato SB Velocity DPT-285 lamination links are designed specifically for printing on polypropylene and polyethylene. These nitrocellulose-base blendable inks are compatible with a wide range of adhesives, and are formulated to combat flexo dirty print, maintain high color strength and maintain good solvent release properties. These inks are suitable for printing on harder, more durable plastics, as well as mugs. Global anilox roll supplier Harper Corporation attended FlexTech 2012 in Phoenix, Arizona. The conference and exhibition ran from February 6 to February 9, 2012. Held at the Arizona Grand Resort, FlexTech 2012 is the annual Flexible Electronics and Displays Conference and Exhibition. Harper Corporation of America was one of over 200 organizations represented at the event, which attracted over 500 attendees. During the exhibition, Harper Corporation shared a booth with Clemson University. The collaboration between Harper Corporation and Clemson University came about after Dr. Chip Tonkin received the request from the conference organizer for a live demonstration of conductive inks and the flexo and gravure processes. Product Development Engineer Tony Donato, using the motorized Phantom QD flat bed ink proofing system combined with flexo and gravure proofers, XDI imaged cylinders, imaged rubber rolls, and a customized flexo proofer equipped with a plate cylinder, conducted draw downs for large groups of attendees. Clemson’s Dr. Liam Ohara designed both flexo and gravure circuit layouts that were used to make cylinders and plates. Through these demonstrations, many event attendees witnessed the benefits of the flexo and gravure printing processes. Additionally, they discovered how these processes can be used within this quickly growing industry. FlexiStar Confectionery provides excellent printability, superior adhesion, and resistance properties with and without a cold seal release overprint lacquer - this ink system is designed for surface and reverse print applications. “Confectionery package printing is all about shelf appeal and constant innovation at a competitive price. FlexiStar Confectionery is based on these principals," says Grant Shouldice Product Director Film & Foil, Packaging and Narrow Web North America. The confectionary printing market requires inks that print clean and clear, are easy to use, and come with a competitive price point. FlexiStar Confectionary combines the key attributes required by this market. 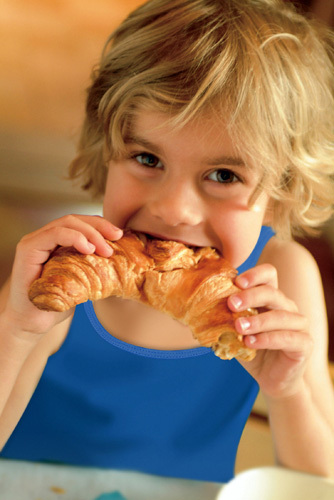 FlexiStar Confectionary provides excellent adhesion to a wide range of substrates. Flint Group realizes that printers in this segment are investigating many new film technologies; FlexiStar Confectionery has been successfully tested on a wide range of new and existing films with multiple cold seal release lacquers and cohesives. Omet is happy to announce the completion of the installation of a 10-color XFlex X6 at Etitec , Milan, part of Imrpima Group, Italy. Etitec is an historic Italian label manufacturer working with a wide variety of adhesive substrates. They recently expressed the intention to widen their product portfolio to include shrink sleeves. They chose a XFlex X6 after evaluating different offers, knowing it would comply with their special requirements. The configuration designed by Leo Ingrosso, Chief Executive of Etitec and Mr. Gandolfi, Omet Sales Manager for Italy, and the inner flexibility of XFlex X6 allow the printer to satisfy any request coming from different sectors, with the inclusion of the newly approached shrink sleeve market. This 430 mm, 10-color XFlex X6 combines in-line a few additional features – cold foil, delam/relam, print on reverse, booklet – that makes it competitive in the printing of short and medium runs of difficult jobs on different materials. Etitec and Omet believe this is just the beginning of a close cooperation that will certainly bring new installations based as it is on the common intention to find solutions for the label and packaging market requirements and needs. Nussbaum Matzingen AG has switched over its print form manufacturing activities for cans and tubes from conventional film originals to direct CtP imagesetting. All letterpress plates are now imaged using a Lüscher MultiDX! in a process that gives Nussbaum higher quality and better cost efficiency. Nussbaum, which has its headquarters in Matzingen (Switzerland), is one of Europe‘s leading suppliers of a range of aluminium monoblock packaging products. Nussbaum specializes in the development, production and marketing of high-quality aluminium cans and tubes. At its sites in Matzingen and Kesswil in Switzerland, as well as its German sites located in Frankenberg and Rielasingen, the company produces approximately 380 million cans and 100 million tubes every year. Nussbaum‘s strength lies in the high quality of its manufactured products and the wide range of cans and tubes it supplies. There are only a very few companies that are able to print up to eight colours on aluminium cans using a complex process based on letterpress printing. The challenge lies in transferring motifs that are designed by the customers themselves to the curved surface of an aluminium can undistorted and with no loss of colour fidelity. The can is printed in a single step using the indirect dry offset “wet-in-wet“ method. Up to the change of technology, the letterpress plates were produced CtF on the basis of film originals. However, because it was becoming increasingly difficult to find imagesetters and in response to rising film prices, Nussbaum decided to switch to the direct CtP imaging of the letterpress plates. During an evaluation phase, Nussbaum carefully examined and tested the CtP systems available on the market. One important criterion was that the use of CtP instead of film should not make any difference to the printed product. The Lüscher MultiDX! was the only system to achieve the same results as film straight away without any changes to the calibration. What is more, the MultiDX! produced the sharpest edges on the test forms with a true resolution of 2‘540 dpi. 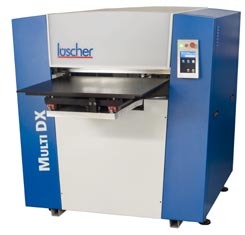 It was these outstanding test results that persuaded Nussbaum to choose the Lüscher MultiDX!. Daniel Isenring, Prepress Manager at Nussbaum, explains: “The things that impressed us about the MultiDX! were the very high image quality, the system‘s ease of use and the price/ performance ratio.“ The company‘s Matzingen site images the entire range of letterpress plates for all the production plants in Switzerland. Taken overall, the introduction of the MultiDX! is a success story that has helped Nussbaum achieve top-quality performance. Rotocontrol has announced another two machines sold into Brazil to Flexcoat Produtos Auto-adesivos, a highly regarded company in the Brazilian Label Market. Ordered were two RSP Single Pass 100% Security Inspection Machines, subsequent to an on-site visit from Marcelo Zandomenico, of MZ Maquinas, the Rotocontrol Agent for Brazil and Michael Aengenvoort, Business Development Manager for Rotocontrol. The Rotocontrol RSP series machines are built with an extremely small footprint (only 1.2 x 2.6 meters of floor space plus the moveable control panel) and are specifically designed for compliance with the most demanding security label inspection and finishing applications. Flexcoat plans to run 100% inspection of pharmaceutical labels and other production runs with their two RSP finishing machines investment. “The production intended for the RSP inspection machines requires secure inspection, including re-inspection when labels are reworked. We evaluated other alternatives, but opted for Rotocontrol as their machines are solidly built and fully integrated with the latest inspection technology. The re-inspection mode will assure our Pharmaceutical customers 100% compliant product" commented Nilson Barrantes, Managing Director of Flexcoat. Located in the city of Louveira, Flexcoat has two modern coaters responsible for self-adhesive laminating which accurately controls all features of the company’s products during manufacturing. Flexcoat manufactures products specific to each customer’s need and in markets including pharmaceutical, automotive, food, cosmetic, fridge, and electronic. Acrylic and hot melt adhesives (rubber) in various weights, front film and paper, polyester liners, and glassine and couche paper are offered. Flexcoat is ISO 9001 certified by Bureau Veritas Quality International (BVQI). FINAT, the world-wide association for the self-adhesive labels and related products, introduces the entry and participation details of its annual international labelling competition and the provisional programme of its congress which will take place in the Hilton Hotel in Athens, Greece from 6-9 June 2012. FINAT also reveals the winner of the congress logo contest of this year's edition. Congress 2012 Theme: Sustainable labelling – now is your chance! "In today’s developed society, businesses are increasingly embracing a corporate approach that goes beyond the single dimension of company profit," says Kurt Walker, FINAT President. "Awareness is growing that short-term profit maximization cannot be achieved without taking into account a company’s corporate responsibility towards the environment, the community in which it is operating and the people it employs. ‘Sustainable entrepreneurship’ is aimed at maximising ‘PPP Value’: People, Planet andProfit. In this concept, the scope of entrepreneurship is broadened from the ‘here and now’ to the ‘there and then’." That is why under the title 'Sustainable labelling - now is your chance! ', this year's congress takes a specific look at the various aspects associated with the buzzword ‘sustainability’ for the labelling industry. It will highlight the perspective from one of the leading customers of our industry, demonstrate how to combine economy and ecology when designing packaging and labels, and allow the opportunity to share and discuss best practice with industry leaders and entrepreneurs in different areas of corporate sustainability. In addition the congress will bring inspiration from the Live8 (Live Aid) experience and will present an outlook into our common future from a leading futurologist. And it will give participants a first hand opportunity to learn about the latest trends and developments affecting the European self-adhesive label industry. The full programme will be released in due course. FINAT converter members and other label printers that are not yet affiliated to FINAT and who have not yet entered their labels are encouraged to do so before the March 9 deadline. The FINAT label competition recognises and rewards achievements in terms of both end use/marketing impact and print and converting quality. The awards will be presented to the winners during FINAT's Congress in Athens. This year the competition is separating all wine labels from the mainstream categories irrespective of printing process used. This means that there are three drinks categories and one food category. This trial has been prompted because wine labels by their very nature are usually aesthetically pleasing and very decorative and the quality of design and printing quality has improved considerably over the years. The intention is to allow other end use categories to have a greater chance of winning an award. This principle has also been applied to the cosmetic entries where all cosmetic labels will be entered in the cosmetic category irrespective of printing process used allowing more scope for labels entered in the pharmaceutical and other related categories. In recent years the FINAT awards competition has seen a considerable increase in the total number of entries with the figures hovering around the 300 mark with almost two thirds of the entries to be found in the Marketing/End Use Group. In the 2010 competition a label from the Wine/Spirits category won best in show with wine labels taking several of the printing process awards. Again in 2011 a wine label won best in show and another was awarded the jury prize. In both competitions wine and drinks labels also won the Sets of Labels category. Of course wine labels will not be excluded from winning the ultimate award but the new classification will level the playing field somewhat. Almost certainly we will see the wines and spirits label up in the top awards again in this year’s competition. There has been a significant trend in food labels to more realistic illustrations of food products. This is driven to some extent by the brand owners demanding more differentiation of their products on the supermarket shelves. It has been proven that realistic looking packaging and labels placed at consumer eye level increases sales by up to 10%. The same research indicated that more men buy wine by design than price. Whereas women tend to purchase based initially on price and secondly by design. In order to encourage the next generation of graphic designers, FINAT has for the past four years organised a congress logo competition. Several colleges and universities from the host country Greece were invited to submit entries from their students on the theme 'Sustainable Labelling - now is your chance'. More than 120 entries were received from 2 teaching establishments. The Vakalo Art & Design College and the Akto College both located in Athens. The standard of entries was very high and bodes well for the future of the graphic design industry especially in Greece. It was very difficult to make the final decision as many of the entries showed some really original ideas in their designs. The final award was made to Georgios Karanikas from the Vakalo Art and Design college. He produced a very simple one colour design depicting the meander, a design often seen round the walls of ancient Greek buildings. His idea was to show, in a stylised way, two hands interlinking and collaborating together illustrating the international, multi-cultural character of the FINAT Congress. The judges were impressed by the simplicity of design using only one colour and the concept behind the design. 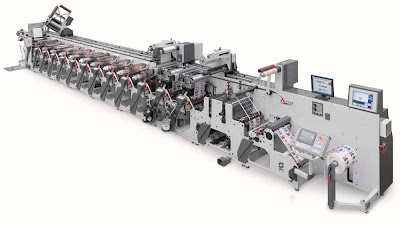 An Omet Varyflex, printing and converting cartons in-line, will be on show at an open house and seminar to be held in conjunction with leading Indian converter Pragati Pack on April 20, 2012 at Ista Hyderabad, located in the new business district of the city. The seminar and open house are being co-ordinated by Pawandeep Sahni of Weldon Celloplast., the official agents for Omet in India and neighbouring countries. Speakers for the event include Ganpathy Thillai, applicaton expert, EskoArtwork, Singapore; Gururaj Kirsur, sales specialist, Dupont, India; Hardik Patel, marketing specialist, Dupont, India; Paolo Grasso, international sales manager, Omet, Italy; David Ho, international sales manager, Martin Automatic; and Hemanth Paruchuri, director, Pragati Pack, India. Sponsors include Omet, EskoArtwork, Dupont, Martin Automatic and ITC Kurz. For further information contact Pawandeep Sahni at pawan@weldoncelloplast.com. X-Rite the world leader in color management, measurement and communication technologies, will present its expert insight on new measurement standards, technologies and ways operations can enhance their business in a free webinar. For two days only the exclusive event entitled New Color Management Standards in 2012 - How Will You Be Impacted? will focus on ISO color and M1 measurement standards in prepress and print. The issues surrounding optical brighteners in paper will also be detailed before a Q&A session at the end. Targeted at prepress professionals and commercial printers, the webinar will take place on March 1 and March 2 at 17.30 CET (16.30 GMT). The first to register will be among the selected few to receive “The M Factor”, a comprehensive white paper explaining how to successfully color manage papers with optical brighteners. X-Rite, is the global leader in color science and technology. The company, which now includes color industry leader Pantone LLC, develops, manufactures, markets and supports innovative color solutions through measurement systems, software, color standards and services. X-Rite's expertise in inspiring, selecting, measuring, formulating, communicating and matching color helps users get color right the first time and every time, which translates to better quality and reduced costs. X-Rite serves a range of industries, including printing, packaging, photography, graphic design, video, automotive, paints, plastics, textiles, dental and medical. Vandemoortele is a leading European manufacturer of frozen bakery products and lipids (margarines and fats). Following several major acquisitions in recent years, the company expanded its business and brand portfolio. To efficiently manage the increased demand for packaging designs and streamline any changes or updates to the artwork, Vandemoortele opted to work with Esko’s WebCenter. Jost Buthmann, Group Procurement Manager at Vandemoortele, is responsible for all purchasing of packaging. He explains that Vandemoortele offers throughout Europe a wide range of margarines, frying fats and frozen bakery products, both under its customers’ brands and under its own brand names, such as Vandemoortele, Vitelma, Sojola, Diamant and Gouda’s Glorie for margarines and fats and Banquet d’Or, Panavi, les pains pérènes de Roland Cottes, The Originals* and Croustifrance for bakery products. Vandemoortele is a Belgian family controlled food group with a leading European position in frozen bakery products (Bakery Products) and margarines & packed fats (Lipids). In 2010, Vandemoortele realised a turnover of ca 1,1 billion euro with 5100 employees. The Group is present in 12 European countries with own sales organisations and/or production sites. The Vandemoortele headquarters are located in Ghent, Belgium. Esko is a global supplier of integrated solutions for packaging, sign and display finishing, commercial printing and professional publishing. GMG is positioning the new application as the most comprehensive production solution on the market for businesses in indoor and outdoor advertising. 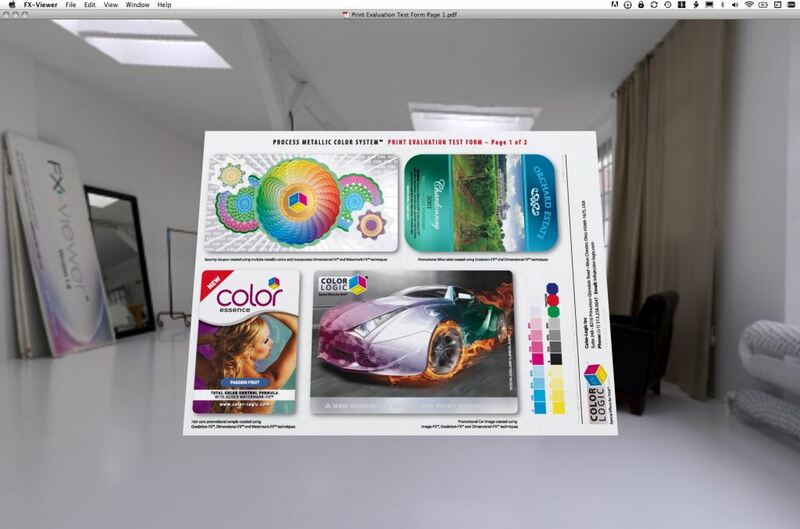 The GMG ProductionSuite is available now from specialty distributors and will premiere at Fespa Digital, February 21 to 24, 2012, in Barcelona, at GMG’s stand H22 in Hall 3 and at the stands of its partners, JetSet (C38), Roland DG (H30) and Zünd Systemtechnik (P10). This innovative product targets both GMG’s typical, quality-oriented users, as well as those who put strong emphasis on maximum productivity. United in this one application, GMG offers the entire range of functions required today in a modern wide-format production environment. 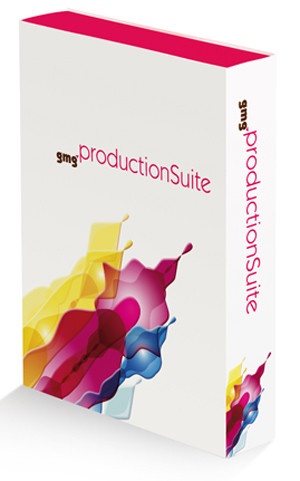 GMG ProductionSuite is a modular system, comprising Editor, RIP, SmartProfiler and PrintStation. It currently supports over 800 output devices. A flexible licensing model permits custom installation: from a simple configuration on one computer with only one RIP, one Editor and functions for driving one or two output devices, all the way to an extensive decentralized configuration with several editors that can send jobs to over ten printers and cutters. GMG ProductionSuite runs under Mac OS® 10.5 - 10.7, Windows® XP, Vista and Windows 7. Simple, intuitive tools support highly efficient workflows. Users have access at all times to precision visuals that profile output quality. This way, a user can monitor every single detail of the end result prior to actual printing and, if necessary, edit work right in the application. The integrated Tiling Tool makes it easy in just a few steps to prepare tiled images very precisely for later assembly. One practical side effect: The tedious process of calculating scaling factors to determine material input is eliminated, because images are edited right in the final format. The GMG ProductionSuite Editor displays all settings required for processing in one main window. It takes just a few mouse clicks to define and position pockets, hems, grommets and pole pockets. The Editor even calculates the required number of grommets and, using a simple checkbox, the user can choose to omit corners. By accessing native data formats, such as PDF, PSD and AI, the GMG ProductionSuite Editor enables the variable editing of closed file formats. It is just as easy to implement a long production run with a number of different motifs, as it is to change individual images, texts, graphics or other elements. Integrated data preflight and process automation options round out the extensive range of functions. The GMG ProductionSuite RIP runs in the background, entirely independently of the work steps in the Editor. Print jobs requiring full computing power can thus be prepared while others have already been sent to the RIP. To be able to check the final RIPped data prior to printing, the image in the Output Inspector corresponds exactly to the color separations and color quantities in the actual print data. Based on definitive color profiles and printer calibrations, the integrated SmartProfiler can identically align several printers of similar type. One fundamental feature in this connection is the precision processing of spot colors. With this GMG technology, previously reserved for high-end proofing, spot colors can be converted precisely to the printer’s color gamut. Thanks to a user interface that visualizes device- and media-dependent imposition, data can easily be grouped and prepared for production. Individual print jobs can be variably combined and optimized so as to ensure optimum material use and cutting sequences. The goal is to greatly accelerate order processing and significantly reduce material use. With its additional functions, such as Industrial Cutting, True Shape Nesting, Screen- and Variable Data Printing, the GMG ProductionSuite also fulfills some of the more unique requirements. Licensing an additional option not only expands the functionality of one work station, the option also is made available to all other associated main applications. For Ian Scott, managing director of GMG GmbH & Co. KG, entering the wide format market is a logical step in view of the company’s strategy, which has never compromised on the pursuit of quality. “With recalibratable spot colors, powerful editing options and support of some 800 output devices, we are now making all our know-how also available to the best wide format producers." Rotocontrol has recently announced another two machines sold into Brazil to Flexcoat Produtos Auto-adesivos, a highly regarded company in the Brazilian Label Market. Ordered were two RSP Single Pass 100% Security Inspection Machines, subsequent to an on-site visit from Marcelo Zandomenico, of MZ Maquinas, the Rotocontrol Agent for Brazil and Michael Aengenvoort, Business Development Manager for Rotocontrol. "The production intended for the RSP inspection machines requires secure inspection, including re-inspection when labels are reworked. 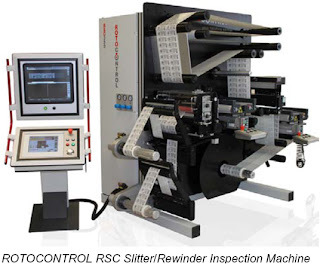 We evaluated RSP Single Pass 100% Security Inspection Machine other alternatives, but opted for Rotocontrol as their machines are solidly built and fully integrated with the latest inspection technology. The re-inspection mode will assure our Pharmaceutical customers 100% compliant product" commented Nilson Barrantes, Managing Director of Flexcoat. Located in the city of Louveira, Flexcoat has two modern coaters responsible for self-adhesive laminating which accurately controls all features of the company's products during manufacturing. Flexcoat manufactures products specific to each customer's need and in markets including pharmaceutical, automotive, food, cosmetic, fridge, and electronic. Acrylic and hot melt adhesives (rubber) in various weights, front film and paper, polyester liners, and glassine and couche paper are offered. Flexcoat is ISO 9001 certified by Bureau Veritas Quality International (BVQI). Rotocontrol designs and manufactures leading edge inspection, slitting, rewinding and die cutting finishing machines for the narrow web industry. Available globally, Rotocontrol offers machines from smaller basic rewinders to feature rich, sophisticated models with multiple options. 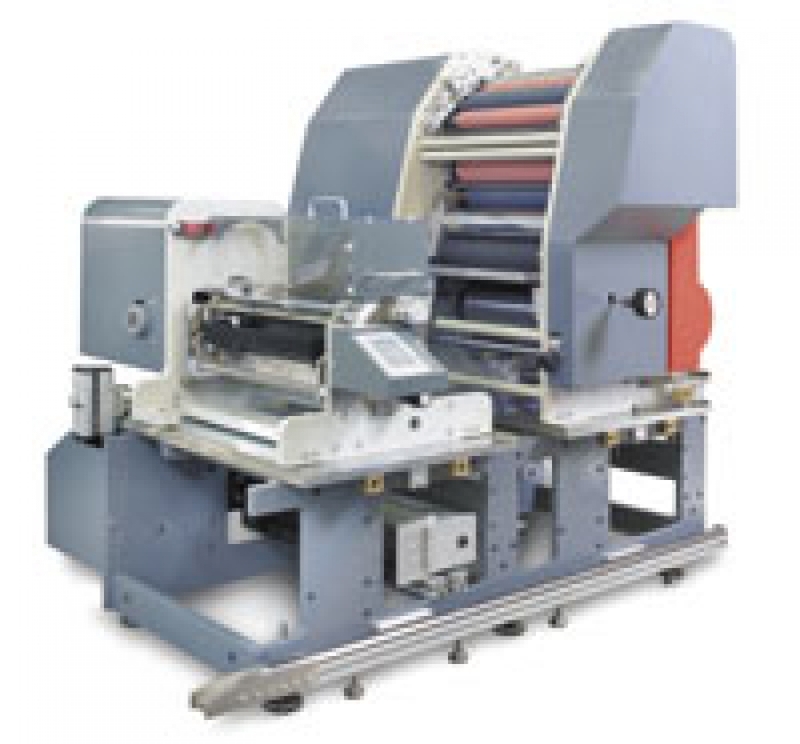 All utilize S-Drive Servo Technology enabling maximum web control for the most delicate film and foil materials. Headquartered in Ahrensburg (Hamburg), Germany Rotocontrol maintains the highest level of product quality through ease of use, absolute control and flexibility. Rotocontrol is the partner of choice in the finishing of label products. At the end of 2011, in a move that sent shock waves across the international printing industry, manroland AG, one of the world’s highest profile manufacturers of printing machines, filed for bankruptcy protection. The majority of the now-defunct company’s equipment was sold off to newspaper printers and publishing companies. A major factor in manroland’s demise was the emergence of online publishing - a development that caused orders to plummet. This illustrates the strong impact of the information era on the market for printing books, newspapers and magazines. Today, a growing number of people read news and download e-books from their smart phones. Consequently, more and more media providers are focusing on the Internet, rather than print. The rapid decline of traditional paper printing has shrunk demand for traditional printing equipment. In fact, digital printing now outstrips traditional printing for books, newspapers and magazines. 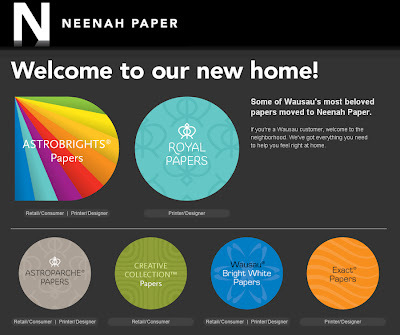 Thirty years ago, paper printing accounted for 90% of the total printing market. Today that figure is only slightly over 10%. As the publication printing industry continues to lose market share, packaging printing is on the rise. In recent years, China’s packaging printing industry has boosted the scale of its market. An increasing number of packaging printing enterprises now produce output worth not millions, but billions of RMB. Statistics from the Beijing Printing Association show that while packaging printing companies make up only 14.6 percent of Beijing’s total number of printing enterprises, profits from these companies account for 80 percent of the industry total. Every industry, high- and low-end, regardless of whether or not it directly involves packaged goods, needs the packaging industry. As for market need, sales performance in the domestic retail market shows a distinct upward trend under new policies to drive domestic consumption, making packaging a field of rich potential over the next few years. Many companies are joining this burgeoning industry, with a number of publication printing factories for books, newspapers and magazines modifying their development strategies to include packaging printing. By engaging new clients, these enterprises can claim a significant slice of the packaging market and ease the effects of the shrinking publication printing market. Recently, C & C Joint Printing Co., (H.K.) Ltd., a member of Sino United Publishing (Holdings) Ltd., signed a contract to buy three pieces of packaging and printing equipment from KBA, a German company. C & C is a leading publishing house and its cooperation with KBA signals a clear intent to enter the packaging printing market and points to a bright future for the industry as a whole. The packaging market is a lucrative one for printing companies. How to access this huge market has become a popular issue within the industry. Of course, with great opportunities come significant challenges. The packaging marketplace spans a wide range of processes and applications, including various materials and complicated post-press processing assemblies. Companies should therefore conduct in-depth market analysis before entering this market. Understanding customers’ real needs will help suppliers to provide the appropriate equipment for packaging processing and also guide them in pricing it correctly. Of all the types of packaging produced, folding carton packaging has seen the fastest growth in recent years. It is used for packaging cigarettes, food, drugs and other everyday products. The industry continues to grow to meet increasing demand. Folding carton packaging is easy to process and has excellent printability, which makes it ideal for packaging gifts. However, with rapid industrial development and rising standards of living come higher requirements for the quantity and quality of folding carton packaging. Therefore, to access the high profits and great consumption potential in the folding carton printing industry, companies that plan to enter the market must improve their automated production technologies, especially for post-print processes. Different from press printing, the folding carton post-print process is more complex. For example, middle- and high-end products often need a lot of post-print processing, to effect things like cutting large-sized pages, decorating, polishing, die cutting, waste cleaning, compounding and slitting. It is a complicated process that demands the application of new technologies and equipment. It also calls for a sustained improvement of the automation level of post-print processes to reduce the adjustment and preparation times of equipment, a key customer demand. In recent years, technological advances have allowed the development of the post-print process to diversify and the technical applications therein have matured. At SinoFoldingCarton 2011 the technical level of domestically produced post-print equipment was proven to have surpassed international standards. Indeed, on-site at the event were numerous powerful Chinese producers of post-print equipment, including Tianjin Changrong Printing Equipment Corporation, Beijing Shengli Weiye Printing Machinery Corporation, Shanghai Eterna Machinery Manufacturing Corporation and Shanghai Yawa Printing Machinery. Each company showcased highly automated post-print equipment, predominantly for waste cleaning. The exhibition highlighted how the automation level of waste cleaning equipment continues to rise. One company even displayed a fully automated waste-cleaning machine. As well as cleaning waste away, the fully automated waste-cleaning machine can also divide integrated pages. This means that, without prompting, it divides different products from a single integrated page and, in so doing, cuts the length of the process of artificial waste cleaning and division. Tianjin Changrong Company has a solution for multi-process decoration that is not hindered by the traditional limitations of decoration machines that are restricted by their standing position. The Changrong machine’s combined processes include decoration and cutting to improve efficiency. Organized by Reed Exhibitions, SinoFoldingCarton 2012 will facilitate efficient communication among exhibitors, visitors and buyers by providing excellent value-enhancing services and detailed, up-to-the-minute industry information. The event will take place from April 11 to 13 at Guangdong Modern International Exhibition Center in Dongguan. This industry-defining trade show will feature new equipment, materials and solutions for folding carton production. Hundreds of makers of folding carton materials and equipment will display their products. Among the items on show will be folding carton production equipment, hard carton boxes, plastic boxes and paper bags. On-site, printing companies will be able to evaluate, first hand, the latest developments in the industry’s domestic technologies. In 2012, SinoFoldingCarton will be collocated with SinoCorrugated South. Together, the two shows will be a vibrant channel through which printing companies engage one another; learn about new development trends and evaluate market prospects. Dow Corning Corporate showcases it’s more than 60 year’s silicone expertise in pressure sensitive industry at the Global Release Liner Industry Conference from Feb. 22 to 23, 2012, at Novotel City in Amsterdam. The event is focused on current issues, opportunities and developments in the ever-changing and challenging release liner industry. Delegates get the opportunity to network, educate, discuss, debate and share valuable information during a two day conference. The conference provide through expert presentations, panel discussions, and AWA exclusive market data, a complete overview of the current market environment, growth prospects, industry developments, and technology trends. Christian A. Velasquez, Dow Corning’s global market director for the pressure sensitive industry, will join with other key suppliers in the panel discussion session on day 2 Feb. 23. The session will focus on discussing with the key industry silicone suppliers on current and future key issues such as developments, trends, challenges, sustainability and more. Dow Corning provides performance-enhancing solutions to serve the diverse needs of more than 25,000 customers worldwide. A global leader in silicones, silicon-based technology and innovation, Dow Corning offers more than 7,000 products and services via the company’s Dow Corning and XIAMETER brands. For more information about Syl-Off Advantage Series and other pressure sensitive products, visit www.dowcorning.com/psi. iSys Label has recently announced DeMarchi as its Argentina Distributor. DeMarchi is a converter, specializing in printing pressure sensitive labels, offering flexo, screen, offset, letterpress and now digital printers, with the new APEX 1290. According to Leonardo DeMarchi, Owner of DeMarchi; “There are great opportunities in Argentina for the iSys Label line of printers. The APEX 1290 has the quality and impression we are looking for within the simplicity of the machine. The software allows the user to have a total control of the printer. The APEX 1290 can print on a variety of substrates, without pre- treatment, giving the user multiple output options while saving time” said. “iSys Label is truly thrilled to add DeMarchi as our Argentina Distributor,” said Randy Rickert, Director of iSys Label. “We are confident DeMarchi will present our products and offer quality service to our customer base in Argentina. DuPont Packaging Graphics has launched a new campaign to promote and further differentiate its leading DuPont Cyrel brand flexographic systems offerings for the packaging graphics industry. The new brand campaign will focus on the company’s commitment to deliver higher quality at high speed, and illustrate the concept with high-impact photography in key communications components including a new website design, print and online advertising, and in a dramatic display at the upcoming drupa 2012 trade fair, to be held May 3 – 16 in Düsseldorf, Germany. Featuring the tag line, “Look Closer! For higher quality at high speed,” the campaign will convey that DuPont Cyrel flexographic systems offer excellent quality and very short turn around times from design to final package, providing the highest system value. 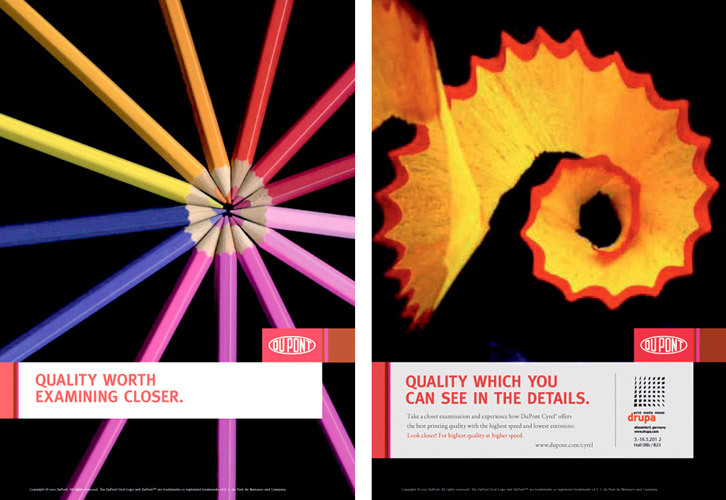 Backed by one of the largest technical support organizations in the industry, DuPont can provide the support and service printing professionals need to meet their deadlines. With reliable and standardized workflows, and the lowest environmental footprint, DuPont Cyrel flexographic systems are designed to deliver true value. The campaign is targeted at professionals in the printing industry who need the highest possible quality of flexographic output at the pace of today’s most demanding customers. Nuova GIDUE s.r.l a manufacturer of Printing and Converting machines for the Labels and Packaging industry, presents a new press line during an International Open-House held on the 14-15-16th of February 2012, at its premises in Florence, Italy. The new M7 Xpannd line displays full platform configuration, to allow for free interchangeability of printing and converting processes. Each Offset unit, as well as Flexo, Screen units etc. can be removed and replaced on any platform. The press configuration can be changed in minutes, as well as the new format cassettes (Mini-Cassette). The M7 line is integrated in a "lean" working cell (the "Organizer") to allow for easy and effective change-overs. The press has been designed to fit into limited spaces (7 platforms-3 dies in less than 8 meters) and to convert a wide range of products (flexible packaging, labels, carton boxes). "We wanted a compact, ultra-flexible Labels and Packaging press. Floor spaces are limited, markets change rapidly. M7 can grow and adapt to multiple substrates or processes" says Sauro Salvadori, M7 Project Manager. "We ended up with a top quality printing press, with the "look" of an easy and accessible tool." During the Open House in Florence a new version of the "futuristic" M5 Digital Flexo GIDUE press is also shown in operation. A new enhanced SW and HW will be unveiled to perform less than 20 meters of waste with automated "digital" set up (pressure and register) without intervention of the operator. Federico d'Annunzio, MD, comments: ""With M7 GIDUE completes the 3 years program to renovate its product offer. We now serve the Labels and Packaging industry, from narrow to mid web, with a wide range of innovative technologies to produce added value and high quality performances". The SpencerLab Digital Color Laboratory announced the release of a white paper summarizing the results of a benchmarking study of Availability and Actual Production time. The white paper is available by free download from the SpencerLab web site, http://www.spencerlab.com. SpencerLab methodology, previously utilized for testing of high-end digital presses, was adapted to measure Availability and Actual Production of high-production class devices. The ability of the methodology to be employed over multiple volume and speed class devices in the commercial print validates the robustness of SpencerLab‘s methodology. The SpencerLab Digital Color Laboratory is a division of Spencer & Associates Publishing, Ltd. specializing in the testing and analysis of Digital Color Imaging and Printing products. Spencer & Associates is a premier product marketing research and support consultancy providing services to firms for whom printing is mission-critical: strategic support to improve print quality, cost-of-ownership, performance, and usability. SpencerLab provides leadership in quantitative and qualitative product evaluations - independent, comparative test and evaluation services and tools for the digital color peripherals industry. ASTROBRIGHTS, ASTROPARCHE, ROYAL LINEN, ROYAL FIBER, ROYAL LAID, ROYAL COTTON, ROYAL COMPLEMENTS, ROYAL MARBLE, ROYAL METALLICS, ROYAL RESOURCE, WAUSAU BRIGHT WHITE and CREATIVE COLLECTION. 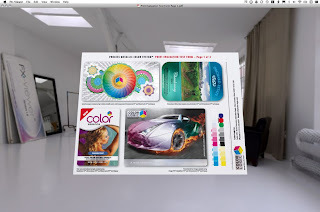 Exclusive license rights for a portion of Exact brand specialty business, including EXACT BRIGHTS, EXACT COATED, EXACT DIGITAL, EXACT INDEX, EXACT TAG and EXACT VELLUM BRISTOL. Neenah’s primary focus in the coming months will continue to be the integration effort.